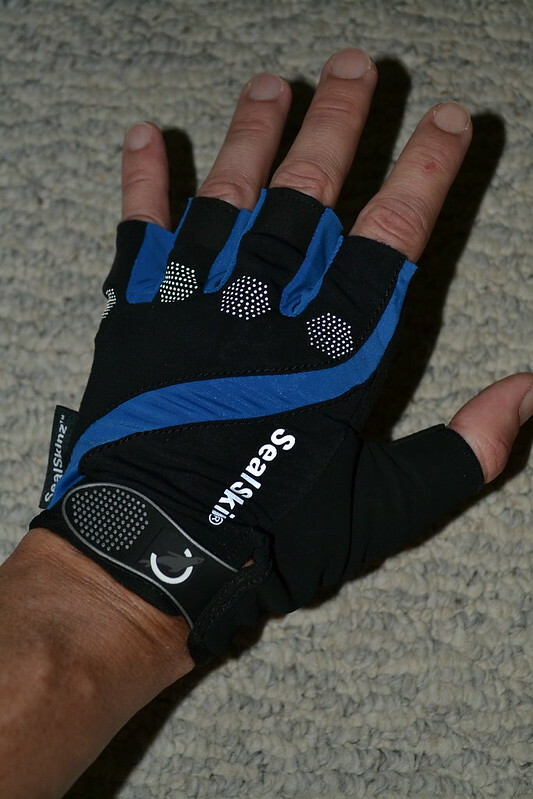 At the beginning of summer, the kind folks at SealSkinz offered us a pair of their new summerweight cycling gloves to try out. You may know SealSkinz as a maker of waterproof socks, hats, and gloves for outdoor activities such as hiking and hunting, but they’ve also got a number of cycling-specific pieces in their lineup. 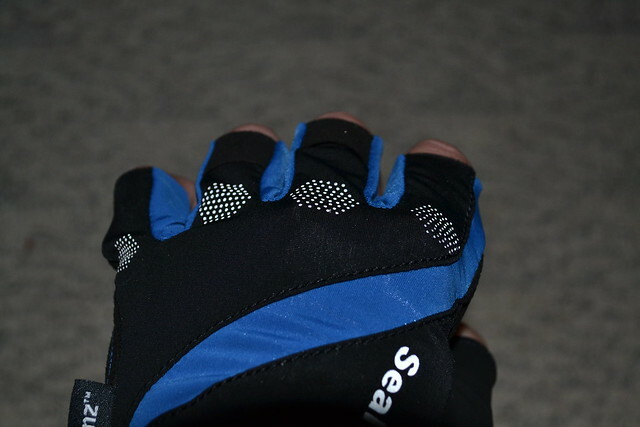 The SealSkinz gloves are lightweight, with a lycra back and a synthetic leather palm that is textured for grip. The middle and ring fingers have extra material at the tops that are fashioned as “pull tabs” to get the gloves off easier. 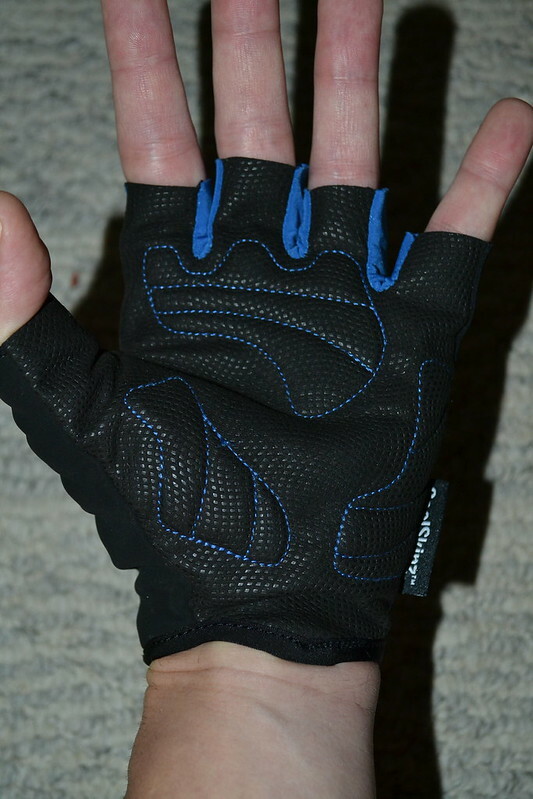 There’s a hook-and-loop wrist closure, and reflective accents on the back of the glove. The pair I tested is a size Large. They felt true to size, but with a small amount of bunching between the fingers (we’ll get to that in a bit). The padding on the palm is rather thin, and at first I thought I’d have issues with that — my own hands are not particularly padded, and prefer a glove with dense padding in the palm, where possible. The SealSkinz gloves, despite the thin padding, didn’t let me down in terms of comfort, even for longer riders of 30-40 miles. Beyond those distances, I think I’d rather have something with more padding. For those who have read glove reviews I’ve done in the past, you may remember that the nose-wiping area of a glove is VERY important to me, summer or winter. The SealSkinz didn’t let me down there, either — the entire thumb is made of a soft microsuede material, with no protruding seams to rough up the sensitive nose area. I can wipe all day in comfort! The grip is fantastic with the gloves, as is overall durability. I wore them all summer and racked up serious miles with the SealSkinz, and they still look pretty new, even after a couple of washings. The stitching and seams remained tight throughout the testing period. The reflective accents on the backs are a nice touch, but I don’t know how effective they might be. The reflective effect is pretty subtle, and I was unable to get a good nighttime photo of the reflective bits in action. Perhaps my only gripe with the SealSkinz gloves is the cut of the fabric panels prior to sewing. I did notice a lot of extra material, especially between the fingers. I can’t help but think that the cutting patterns could be refined a bit to reduce some of this excess, helping to streamline them a bit and reduce bunching between the fingers. Since the material is naturally stretchy, this excess material isn’t needed to accommodate wider fingers than my own, either. The SealSkinz fingerless gloves retail for $35, and are available directly from the SealSkinz website. As of this writing, they are not in stock and do not appear on the company website even though they ARE a current product. I checked with their PR person just to make sure they weren’t discontinued for some reason. 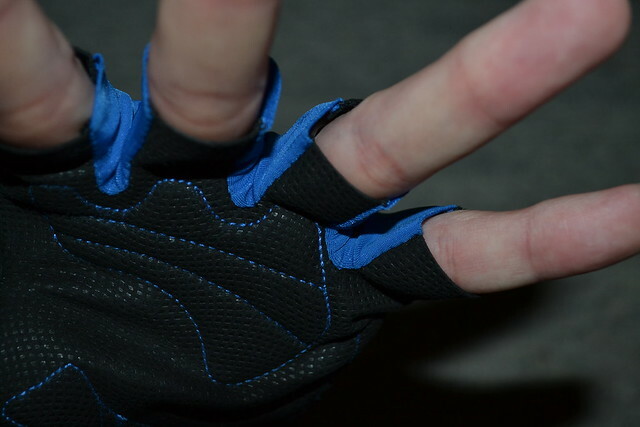 That $35 buys a well-constructed, lightweight glove that is ideal for warm-weather riding. The gloves are 100% designed in Great Britain, with much of the manufacture occurring in Great Britain as well. Take a look at the SealSkinz cycling lineup for a wide range of products to suit any rider at any temperature.